Perfect for your ocean-inspired jewelry creation, this octopus is just adorable! Design your own charm bracelet, necklace or ankle bracelet! Or, put it on a key chain, a purse clip, or earrings! 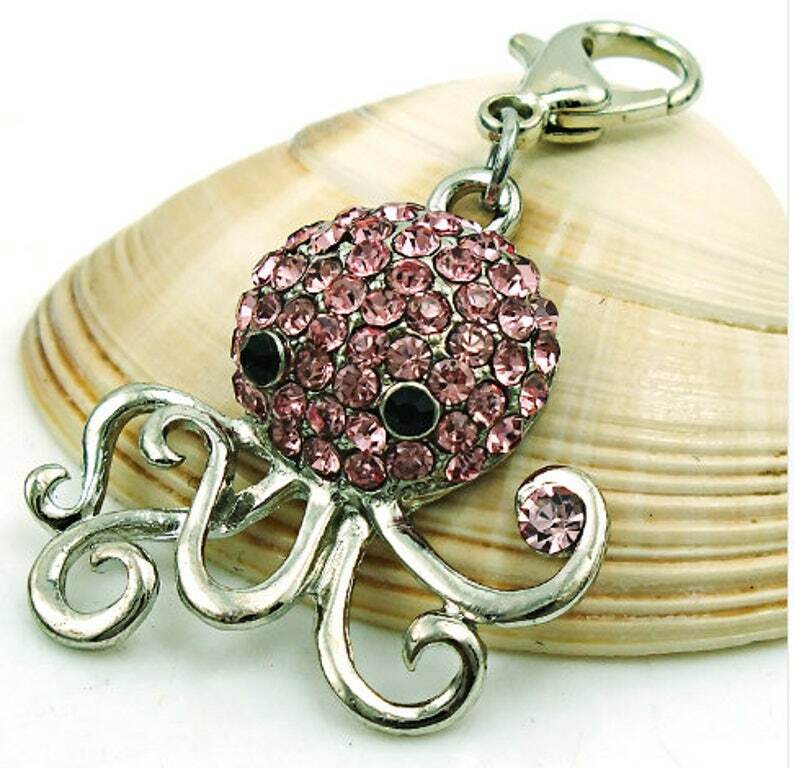 This charm comes ready-to-wear with a 12mm lobster clasp attached. All you have to do is clip it on to your favorite chain! We also sell charm chains in any length you want, please check out our shop at www.foxibelles.com and look under the "Chains: section.